NEW YORK (Reuters Health) - The amount of television advertising for electronic cigarettes that American adolescents saw jumped by more than 250 percent over the past few years, according to a new study. Researchers said the extra exposure to e-cigarette marketing, if not curtailed by regulation and countered by public health messages, could lead more youth to start using the devices. E-cigarettes were first introduced in China in 2004. The battery-powered devices let users inhale nicotine-infused vapors, which don't contain the harmful tar and carbon monoxide in tobacco smoke. Concerns about use of the devices by teens and young adults include the possibility that nicotine could harm developing brains, that the safety of the inhaled vapors has not been established and that nicotine use could lead to smoking traditional cigarettes. “I think - as a potential gateway to future use - this could potentially cause public health harm,” Duke said. Unlike traditional cigarettes and other tobacco products, e-cigarette advertisements are not subject to federal regulations. The proportion of young people who report ever having used e-cigarettes is already growing. The number more than doubled from about 3 percent in 2011 to about 7 percent in 2012, Duke and her colleagues write in the journal Pediatrics. “We thought it was important to look at trends in advertising,” she said. By analyzing data from the Nielsen ratings company, the researchers looked for patterns in e-cigarette marketing from January 2011 to September 2013. To estimate young people’s exposure to e-cigarette advertising, they used Nielsen's system of target rating points, or TRPs, which measure the portion of a specific population within a TV commercial’s total audience that saw an ad. For example, a commercial with a 50 "youth TRP" may have been viewed five times by 10 percent of the youth audience or once by 50 percent of that audience in a given period. From 2011 through the first half of 2012, e-cigarette ads had fewer than 100 TRPs among kids between the ages of 12 and 17 years old. That rose and peaked at 347 TRPs from April to June 2013 before declining to 275 TRPs by September. During the same period in five specific target markets, including Columbus, Ohio and Raleigh-Durham, North Carolina, youth TRPs for e-cigarette ads were over 1,000. The national numbers could mean that 50 percent of all kids in that age group saw 21 e-cigarette ads from October 2012 to September 2013, the researchers write. Or, it could mean 80 percent of adolescents saw 13 ads during that time. The increase over the entire study period represents a 256 percent rise in TRPs for e-cigarette ads between 2011 and 2013. The researchers found that more than three quarters of the ad exposure occurred on cable networks, including Country Music Television, Comedy Central, TV Land and VH1. For young adults between the ages of 18 and 24 years, the TRP numbers were even greater than for adolescents, and represent a 321 percent increase in exposure from 2011 through 2013. The increased exposure among teens and young adults was largely driven by an ad campaign from one brand of e-cigarettes known as blu eCigs, which is owned by the cigarette manufacturer Lorillard Inc.
“We have proactively set limitations on when and where blu eCigs can be marketed in an effort to minimize any potential exposure to minors, a part of our criteria is to screen all marketing opportunities to ensure that our TV ads only run with media targeting an adult audience of 85 percent or greater,” blu eCigs told Reuters Health in a statement. In a perspective piece published in the same journal, Drs. Emily Duffy and Brian Jenssen from the Children’s Hospital of Philadelphia called for more oversight of the e-cigarette industry. A 75-day comment period for e-cigarette regulations that FDA proposed in April is currently in effect. 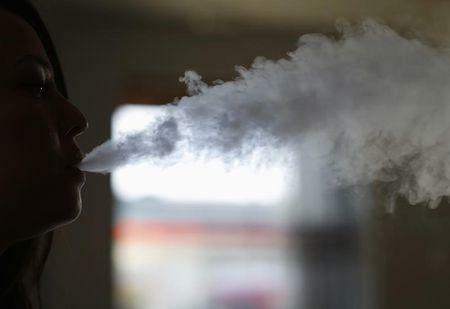 In May, a group of urban health officials urged FDA to regulate e-cigarettes more like traditional tobacco products, including restrictions on ads (see Reuters article of May 1, 2014, here: http://reut.rs/1hoccAN). “For parents, it’s important to try to maintain a dialogue with their children on the risks of any substances – particularly with e-cigarettes, because there is so much that’s unknown about them,” Duffy said. Duke thinks some regulation of e-cigarette ads is needed or the situation will likely remain unchanged. “I think if current trends continue, e-cigarette use among youth and young adults will continue to rise,” she said. SOURCE: http://bit.ly/uFc4g2 Pediatrics, online June 2, 2014.